Fisker Karma. A Plug-in Hybrid Super Car With Four Doors. Spotted these Hybrid Super Cars for sale. 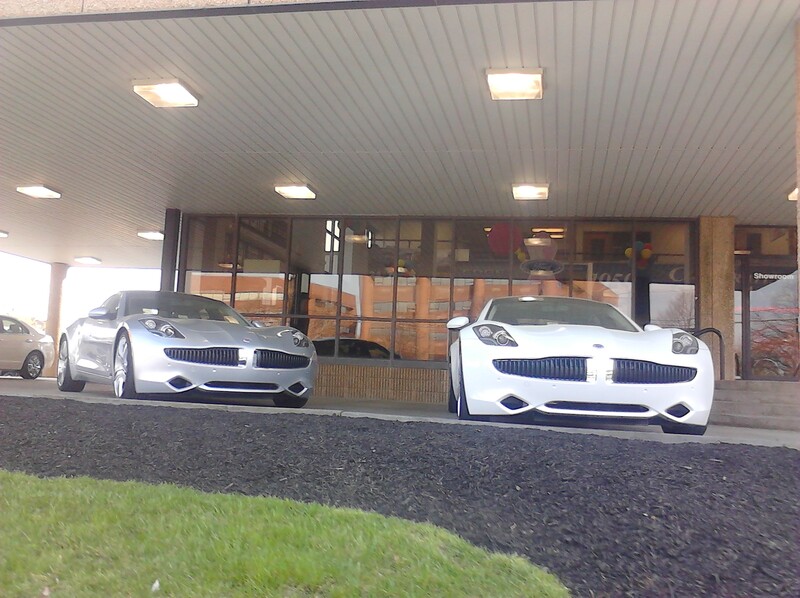 Fisker Karma, two of them at a car dealer in Fairfax, VA.